Are you high risk for premature ageing? Does your skin colour put you in the high risk group for premature ageing? Skin can be classified according to colour/melanin density. 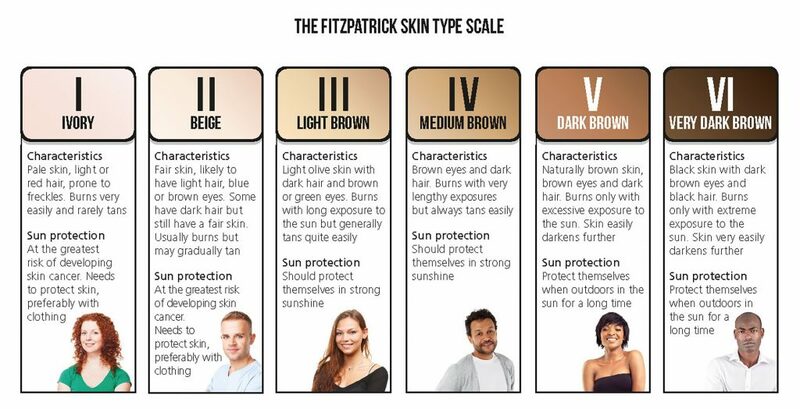 The scale used in skincare to classify each skin colour is called the fitzpatrick scale and it divides skin colour into six categories called Fitz Types 1 – 6. Hair and eye colour are also taken into account when determining your fitz type. 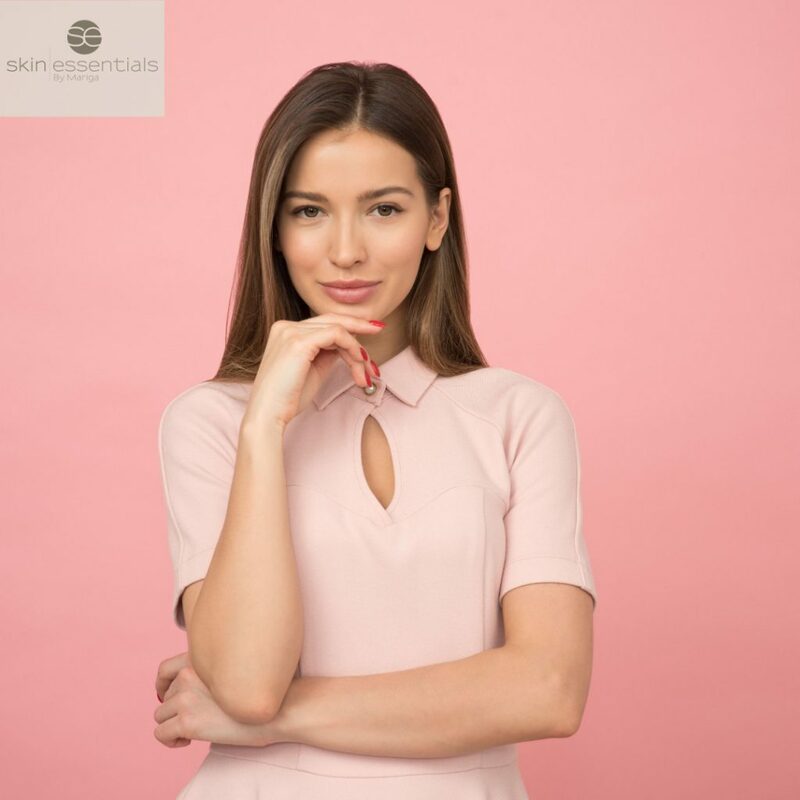 We take your fitz type as a basic unit of information when determining suitability of treatment as it gives us an idea of how your skin will react to certain stimuli such as heat or light. 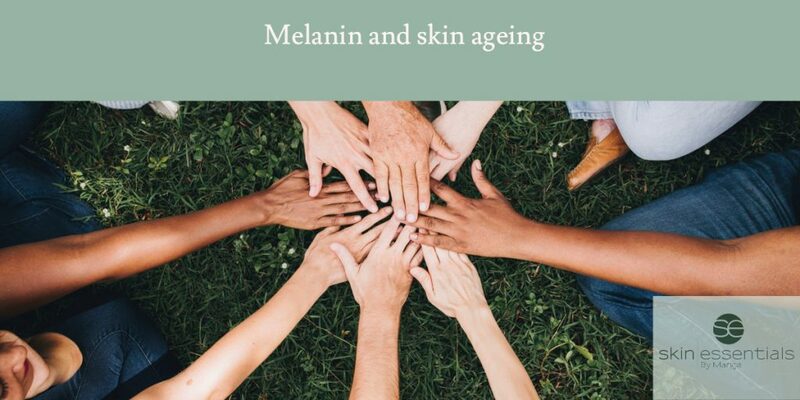 We also combine your classification with lifestyle factors discovered at your initial consultation for example sun exposure, sunbed use and genetic factors such as presence of the red hair gene in your family, to help determine the level of biological ageing in your skin and therefore your potential for premature/slow/fast ageing. Many native Irish people will have a Fitz type of 1 or 2. While these are often lovely, fine-textured skin types, unfortunately belonging to one of these groups also means that you (and me!!) are at a high risk for premature ageing of your skin. But, knowledge is power, and once we know your skin’s vulnerabilities we can help balance them with the correct homecare and clinical treatments. Hydra Collagen Serum for anti-oxidant repair and prevention of ROS. 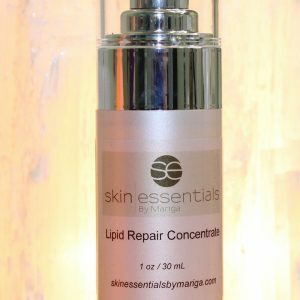 Overnight Repair Cream, vitamin A plus anti-oxidants and plane oils to nourish, increase cellular turnover and repair damage. 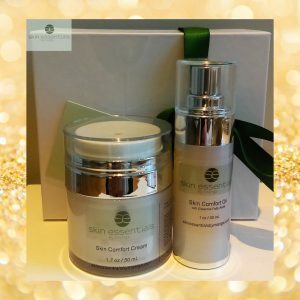 A real star performer in skin protection and anti-ageing. 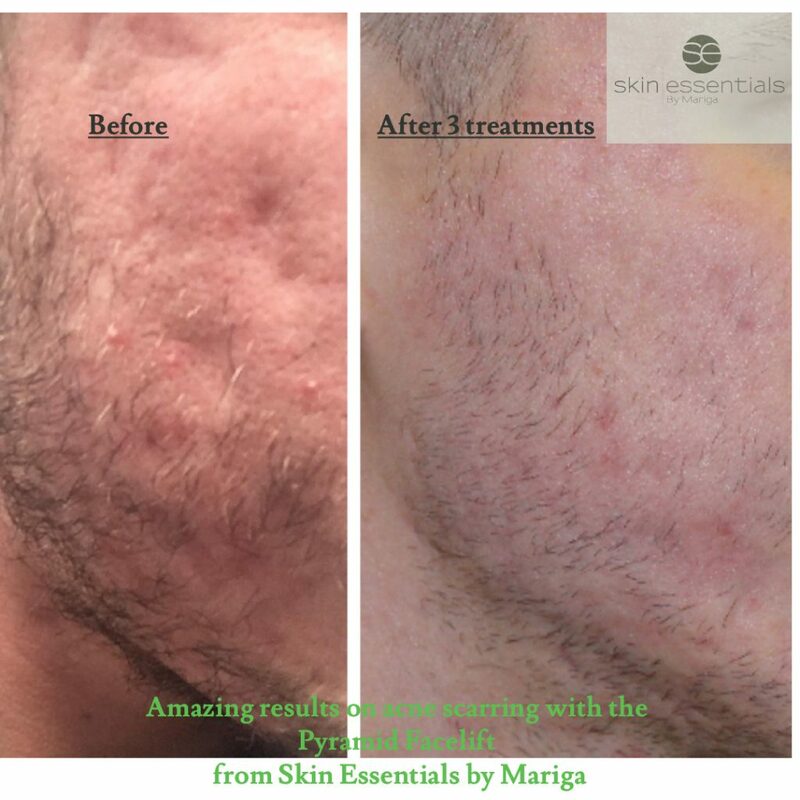 Microneedling is your best friend here. If you are under 35 go for needling lite as a repair and prevention. 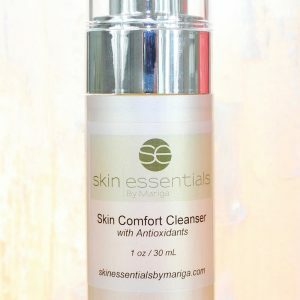 It is combined with clinical ingredients to both stimulate and nourish cellular processes. From 35-45 we recommend Micro-fusion which combines cosmetic microneedling with epidermal infusions of actives such as plumping hyaluronic acid or energising vitamins. 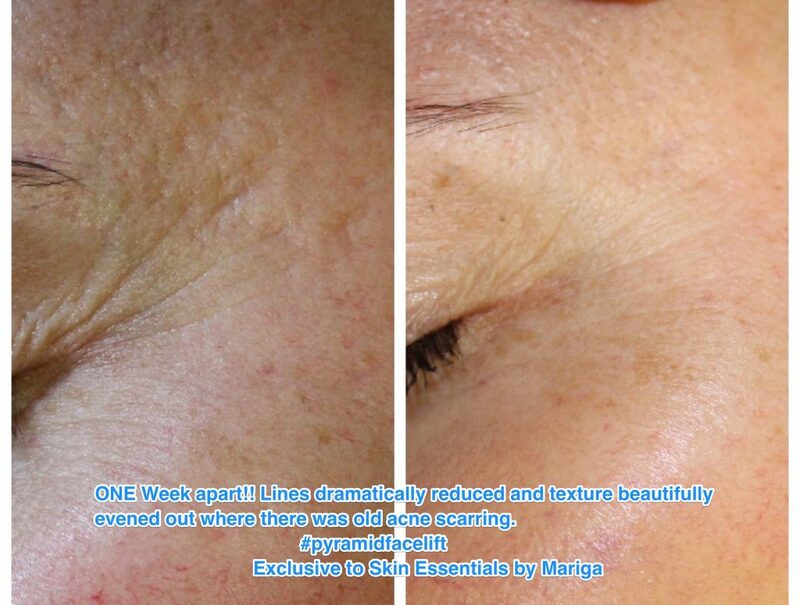 Over 45 or already showing the changes in colour, texture or wrinkling associated with premature ageing? 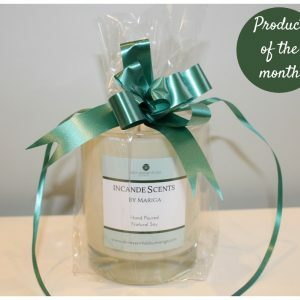 Uplevel to one of our Divine Pro series of treatments for deep revision. Other things you can do…these include all the basic sun safety steps such as ALWAYS using and reapplying SPF outdoors in sunshine, keeping out of the hottest hours, especially between noon and 3pm, wearing hats and long, loose sleeves and long trousers or skirts as much as possible. It is important for everyone to wear SPF even in winter but even more so for the low Fitz types as your skin will be more susceptible to UV damage. Remember, it is sun LIGHT that does damage, not just heat. Testing with our PDM skin diagnostic machine. Not sure what your Fitzpatrick Type is? We can assess it for you along with risk analysis for your holiday destination and repair/prevention advice. Call us on 053 9145981 to book your 30 minute consultation and start today to prevent premature ageing. This entry was posted in Uncategorized on 20/02/2019 by mariga. 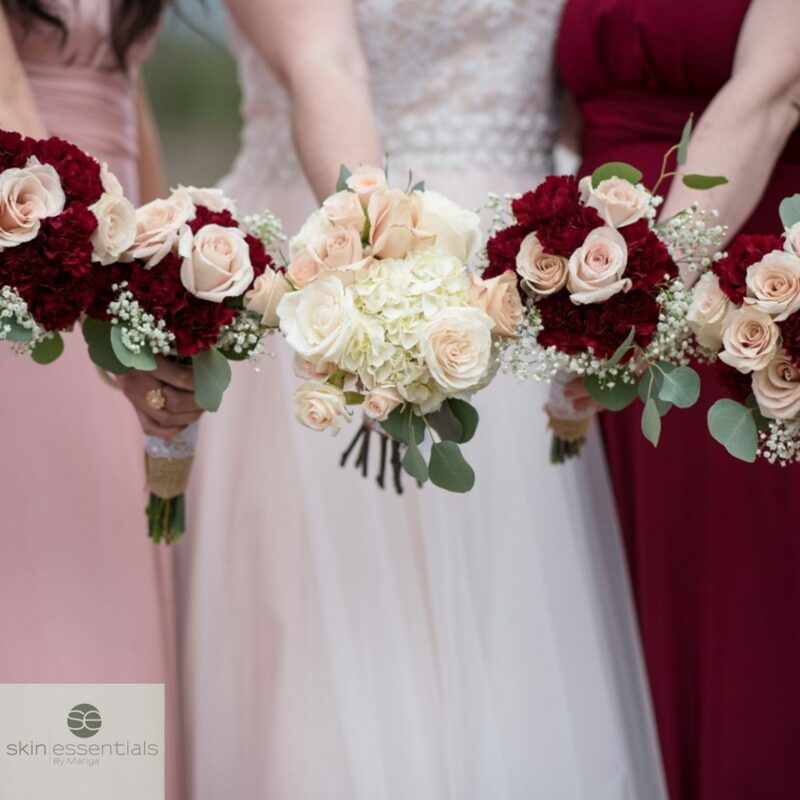 Are you a Mother of the Bride or Groom in 2019? Huge congratulations if you are going to be Mother of the Bride/Groom this year! It’s never too early to start, particularly if you want to reduce lines. 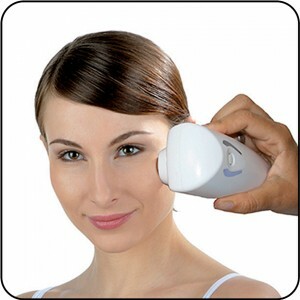 Some therapies need weeks and even months to show full results, especially on firming contours and reducing wrinkles. Give us a call as soon as the date is set and we will work out a plan for you. Left it until the last minute? Don’t worry, we can still shave a few years off, at this stage we focus on temporary rejuvenation to get you camera-ready. Be consistent, using your recommended skincare at home daily, drinking water and eating well every day will reward you with radiant skin and bright eyes for the wedding day and beyond. As a general guide, you need 3-6 months for wrinkle reduction, skin tightening and lifting, 6+ weeks for removing brown patches, red veins, milia or skin tags, 6+ weeks for superficial rejuvenation, skin smoothing and brightening. What can we do to refresh, rejuvenate and turn back the clock for you? Here are some different options depending on how much revision you would like to achieve, how much time you have to prepare and of course how committed you are to achieving results. Choose this when you want serious long-lasting wrinkle revision, skin tightening and scar reduction and have at least 3 months until the wedding. We have options for every level of age revision from first fine lines to dramatic lifting and tightening. If you just need some superficial brightening and softening of the skin, enzyme or acid peels are the perfect choice for you. More than a facial, but still very gentle. A series of skin peels will refresh your look, hydrating, plumping and smoothing the skin. A minimum of three peels spaced one week apart is optimum, ending one or two weeks before the wedding. Many women are perfectly happy with their skin but just have isolated blemishes on their face or hands that they would love to be rid of. At Skin Essentials, we can quickly and easily remove sun spots, red veins, milia and skin tags with diathermy or cryotherapy treatments. Book a consultation 6-12 weeks before the wedding. Book one of our results-driven facials where we can get your glow back fast! A customised facial will soften and brighten the skin’s surface for a dewy look and a perfect canvas for flawless makeup application. 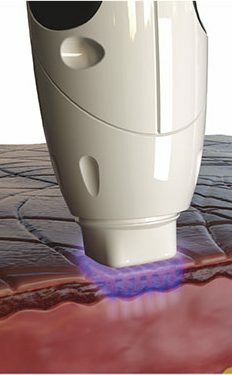 Or go high tech with our fabulous light & Heat SuperFacial! 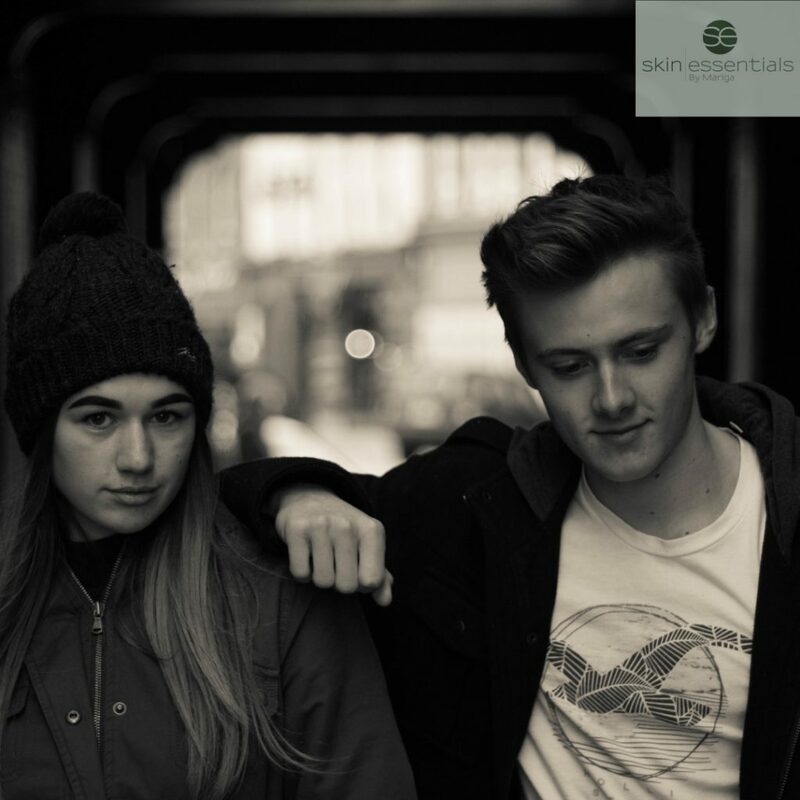 Combining Light Energy to revitalise skin cells, TriPollar Radiofrequency to lift & tighten skin along with DMA – Deep Muscle Activation therapy – to tighten the jawline, this gives results fast! For more information call us on 053 9145981, or book a consultation to see which treatment would work best for you. This entry was posted in Treatments and tagged mother of the bride, wedding on 10/01/2019 by mariga.